Decisive Trading: Is Stubbornness Holding You Back? This is a phenomenon I have noticed over the years, and it has helped me improve as a trader by seeking out similar behaviour in myself. 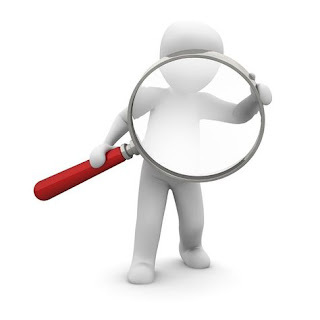 It is worthwhile taking a look at your own approach and identifying if it is present. Through Decisive Trading, I get a lot of emails from traders. Quite a few of them are struggling traders, and all they are messaging for is some advice and maybe a bit of encouragement. All of these threads are different, but they are basically asking the same thing. I am doing ‘X’. It isn’t working. Can you offer some advice? 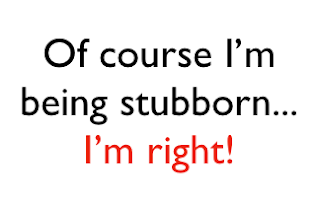 And here is where this phenomenon come in, the one that I am simply calling stubbornness. I would say 90% to 95% of the replies to this type of email question and then response is the same. It is so common that it is what I expect when I see the name pop back up in my emails. So they are emailing me because they are failing, and are in a place of desperation, they pretty much highlight the issue in the email, and I simply point it out to them. But when I do that, they pull back, as though I was some sort of pariah that was trying to harm them and their child. 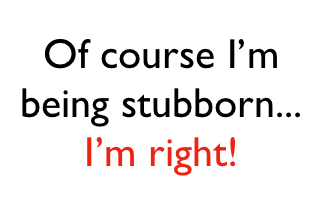 It’s stubbornness. The equivalent of banging your head against a brick wall, asking someone how to stop making it hurt, and then when they tell you to step away from the damn wall, you instead say nah, I think I’ll keep doing this, I’ve been doing it for too long to quit now. At first it used to boggle my mind and I would invariably reply, trying to point out that they themselves had already highlighted the issue in their initial email. But I found that by that time, the heels were already dug in (stubbornness) and anything I said would fall on deaf ears. Now, I just wish them well and hope that they figure it out, or at least don’t lose too much more money. 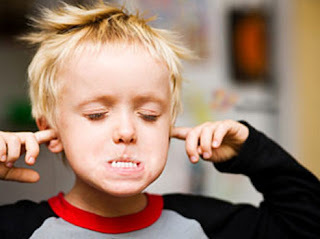 The refusal to change your opinion or come around to a new way of thinking has something to do with ‘self-affirmation’ and ‘cultural cognition.’ I don’t want to get too much into the meanings, because they can pretty much be summed up by the word I’ve already been using – STUBBORNESS. Once I started to realise what was happening, I wondered if I was acting in a similar way? I must admit, it took me a while to link the common responses to myself, but once I realised that such a high portion of the replies were similar, it made sense that maybe, just maybe, I was also stubborn and didn’t even realise it! It’s worthwhile looking at your trading and digging into what it is you do in order to find weaknesses and then ways to improve. You should be doing this all the time, and not only in relation to stubbornness. It is easy to grow bad habits, and unfortunately, if you don’t identify them quickly, the market will do it for you by taking your money. This is all part of trading and you should be aware of it. - My main one was that I went into certain trading days with a bias in terms of the trend. And throughout the day, even if the market was telling me that I was wrong, I clung to that bias and looked for trades that fit with it. What it resulted in was unnecessary losses and a lot of frustration on my part when these days showed up. It told me that I needed to work on my acceptance of being incorrect and my willingness to change my mind quickly. - The second thing, which was closely linked to the first, was that I had a hard time accepting strong trends. I always expected them to end, and was looking to sell into the bullish rallies or buy into the bearish ones. Again, this resulted in frustration and unnecessary losses. The simple act of thinking about these things helped me greatly. I knew I was doing them on a subconscious level, but I was being stubborn, and because of that, I had never really addressed the issues. It’s almost like someone standing you in front of the answer written in six-foot letter on the way in front of you, but you instead chose to close your eyes. By specifically looking for that stubbornness, it was like opening my eyes and giving myself the permission to read what was right in front of me. It helped me a lot and I am sure if you search out the stubbornness in your own approach, it will help you also. Don’t be afraid to be wrong as a trader, but be terrified of not addressing and correcting those mistakes.